EASTON, PA – Mar. 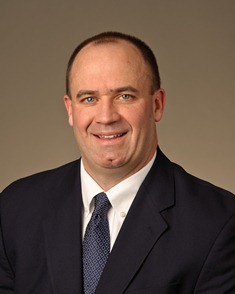 29, 2012 – Lauren’s First and Goal Foundation is excited to announce Bill O’Brien, head football coach at Penn State University, will be the featured guest speaker at the Ninth Annual LFG Football Camp on Sunday, June 3 at Lafayette College. Prior to his appointment at Penn State in January, O'Brien served as the Offensive Coordinator of the New England Patriots, where he was instrumental in helping New England earn a 13-3 record, the No. 1 seed in the AFC playoffs and advancing to Super Bowl XLVI last season. A member of the Patriots' coaching staff since 2007, including the last three mentoring the quarterbacks, O'Brien has worked with some of the game's most successful and innovative coaches and players in his 19-year coaching career, including Bill Belichick, Tom Brady, Wes Welker, Randy Moss, Rob Gronkowski, Ralph Friedgen, George O'Leary and Chan Gailey. A graduate of Brown University, O'Brien joined Belichick's staff in New England as a coaching assistant in 2007 after 14 seasons on the staffs of Georgia Tech, Maryland and Duke. Along with the PA camp, LFG also sponsors a one-day camp at Otterbein University in Ohio, which will be held on Sunday, June 17. Registration for the camp is $33 and student-athletes can register online at www.lfgf.org.